This week I tried Années Folles, the fourth fragrance from niche line La Parfumerie Moderne. Années Folles includes notes of lavender, thyme, nutmeg, geranium, tonka bean, benzoin and patchouli, and according to La Parfumerie Moderne, it "swings like a mysterious aromatic melody on a warm pulsating amber rythm [sic]. The powdry [sic] and woody insouciance wake of a festive atmosphere calls the tune until dawn from the open windows of this proud hotel overlooking the Mediterranean." Awkward phrasing and misspellings aside (why, oh why, can't perfume brands ever hire decent translators or proofreaders? ), this description lured me in. There's the name, for one thing: "années folles," or "crazy years," is a common French appellation for the 1920s. I love lavender and ambery-powdery scents. And as for hotels on the Mediterranean, I looked at the photo on the La Parfumerie Moderne website for a minute and then did a quick and lucky search to identify it: it's the Hôtel Belles-Rives, in Juan-le-Pins on the French Riviera. 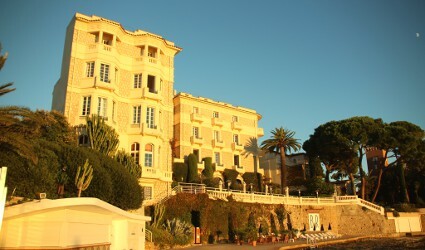 The author F. Scott Fitzgerald stayed at the Hôtel Belles-Rives, another tie-in to the Roaring Twenties. So how could I resist? The heart of Années Folles is more traditionally masculine, pairing the lavender with a dusty yet sharp woodiness that suggests vetiver (although vetiver isn't mentioned in in the "official" list of notes). At this point, Années Folles feels like a nod to the classic fougère category. The composition's more mellow amber base comes out late in the game, with benzoin and a vanillic aspect. The far dry down may feel a touch sweet to some men, but it's subtle enough not to disrupt the fading memory of Années Folles's herbal and wood notes. Although Années Folles certainly skews more masculine than feminine (and certainly more masculine than my usual fragrances), I enjoyed wearing it for a few days. I can imagine Fitzgerald splashing on some Années Folles before meeting Gerald and Sara Murphy for cocktails at the hotel bar. And, now that I think about it, I've always had a weakness for lavender-centered men's fragrances, from Caron Pour un Homme to Viktor & Rolf Antidote. If my husband wore fragrance, I'd buy him some Années Folles. 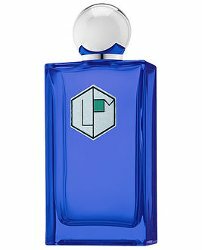 And last, but never least (to me, anyway), the bottle design for La Parfumerie Moderne is also pleasingly "retro," with its jewel-like colors and its Art Deco-inspired label. La Parfumerie Moderne Années Folles is available as 100 ml Eau de Parfum ($220) at Jovoy Paris in France or Twisted Lily in the US. Note: top image is Hotel Belles Rives [cropped] by Bex Walton at flickr; some rights reserved. This is that newer Pierre Guillame line? I love the bottles and this one sounds lovely. Lavender is a hard one to get right. I found a mini of Ma Liberté and it gets there for a bit, but that omnipresent 80’s dryer musk ruins it. Anyway, I’ll have to try this one! Butting in because your comment made me go look — it was founded by Marc-Antoine Corticchiato of Parfum d’Empire, along with someone else I do not know. But also do not know if Corticchiato is the perfumer for all of the scents. I could have clicked the link but it seems like PG has a new line every time I blink. I do remember the announcement though. Thank you for checking! As for this one, I don’t know much about Mr. Corticchiato, but I always liked Parfums d’Empire. Sounds really lovely. Nice review, Jessica. Not my usual thing, but I liked it and I’d recommend it for anyone who’s looking for a retro-contemporary men’s fragrance with lavender! I think Hemingway stayed there at about the same time with his first wife (Hadley) and the woman he left her for (Pauline). Great book called “The Paris Wife” tells the whole story beautifully (and F. Scott and Zelda are characters, too). Not a lavender fan, so I don’t think this one is for me, but the imagery is great. I was thinking of “The Paris Wife” too, which I enjoyed very much. Oh ! I think I need to read this! I do love a good lavender, but this sounds like it might be a bit too masculine for me. I offered my husband my old bottle of Caron Pour un Homme, but he found it too strong and sweet for his taste. He sticks to his Van Cleef and Arpels pour Homme. The concept is great, though. As Sapphire said, it does remind one of the time period featured in “The Paris Wife.” Just imagining the perfumes that were available then: Unreformulated Guerlains and Carons! Real Mitsouko! Apres l’Ondee extrait! And now I’m making myself sad. Thinking about what the parties must have smelled like is almost too much to bear. Have you ever had a chance to sniff Frederic Malle’s Café Society by Carlos Benaïm? In some interviews, FM mentions the women wearing Guerlain perfumes. I’ve always been curious about it, but not quite enough for a blind buy. I love the smell of that candle! I covet several FM candles, but the price and the bright-red packaging has put me off. Unreformulated Carons! Apres l’Ondee extrait! Okay, now we’re both weeping. The Scented Hound really liked Annees Folles, too. I already have the By Kilian lavender, A Taste of Heaven, which is not prohibitively masculine, but I’ll try something else from this line if I get a chance. I like the Hound’s reviews! I’ll go look. I’m curious about this line’s Desarmant, which I think Kevin will be reviewing soon. I hope you’ll have a chance to sniff it!